Benefit skimmed through the regions' major Instagram accounts and randomly selected one girl from each region, including the Middle East! Zain Yehya, a young girl living in the United Arab Emirates, has been chosen amongst Benefit Middle East's Instagram followers to represent our babes here in the Middle East for this campaign. Zain flew off to Beauty Central office in San Francisco and got to live the benebabe lifestyle for a couple of days, with girls from all around the world! 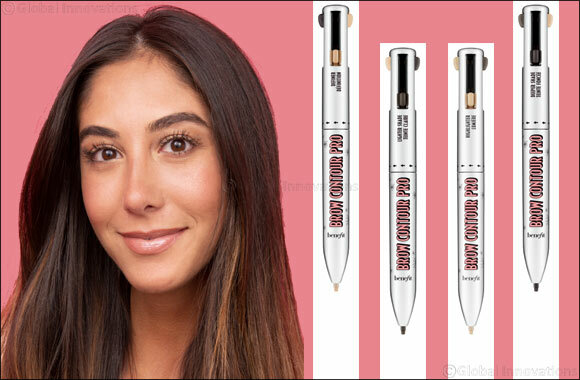 This campaign is all about showing girls around the world that you don't need to be a makeup artist or an influencer to do your brows #LikeAPro – you just need Brow Contour Pro!